Driveway Gate repair services are duties performed by gate repair companies in Los Angeles that diagnose a driveway gate’s malfunction, followed by making the needed corrections to restore the gate back to working order. When you rely on an electric gate-repair services from Everest, you don’t just get the needed repairs; you benefit from a unique class of customer service we offer alongside our low-cost, high quality work. Everest is a family-owned business with deep roots right here in LA, and for us, community comes first. We treat every customer like family. This means that, in addition to guaranteeing the lowest prices and the highest quality work, we form memorable relationships with our clients and offer a boutique-style service that caters to individual needs. Your home is a sacred place that envelopes family memories and prosperity; Everest doesn’t just look at our electric gate repair and installation services in Los Angeles California as being a job, we view our work as a mission to keep families safe and secure by offering fast, affordable gate repair services. Our business is family-owned, and this means we work with passion and a personal drive to offer exceptional customer care to all the families of LA. When your driveway gate won’t close, or the electric gate won’t move, call Everest and let our Los Angeles gate motor repair company correct the problem and secure your family. Need Gate Repair or a New Custom Driveway Gate? Everest Brings Low Cost and High Quality to Los Angeles . Our professional team of technicians are at your service with top quality products, competitive cost and stellar Five-Star customer satisfaction. Best Reviews on Yelp for Gate Repair in Los Angeles . Insects and Wildlife – It may sound crazy, but lizards, ants, spiders, and certain insects that make nests can enter your control box or photo safety center where it is warm, or where they can escape predators. Check these area, and try to make it a periodic practice. You can use a dry cloth or high-pressure air to clear out these areas. Tracks – Often it is the case where debris like leaves, rocks and sticks will get lodged in the track and prevent the gate from moving freely. If your electric gate is sticking check the track for stones or any obstructions. Remote – In many cases getting your electric gate to work is as simple as checking the batteries in your remote. Depending on the manufacturer, if the batteries are low the gate will only work after several attempts at pushing the button before it fails to work at all. With other brands, the gate will simply fail to move when the batteries are dead. Most remotes have a light that flashes when the device is activated. If the light fails to illuminate, the batteries are likely dead. Power Outage – Check the power source feeding your gate opener. In the event there is a power outage, or that electrical source stops working for whatever reason, Try using another device from that power source to rule it out as a culprit. If in fact the power source is working, there is likely an issue with the opener or the motor. Call Everest Garage Doors and Gates to come make the needed repairs, and for immediate use of your gate use the Manual Release Mode to open the gate without putting any strain on its motor. Antenna – One reason your electric gate may not be working is that the antenna needs to be raised, or it has been cut. If the antenna has been cut it will need to be replaced. If however it is intact, try raising it higher but make sure it doesn’t touch the gate or any other metal surface. Local Interference – Make sure there is no local radio interference that may be disrupting the signal from your remote to the electric gate. If there is a local radio station, airport, a military base, or a hobby enthusiast operating a ham radio out of his home or garage. If in fact there is another frequency interfering with your gate you will need to purchase a special receiver and antenna from Everest Garage Doors and Gates–we offer customers a discounted price. If none of the above causes pan out, there is likely a mechanical problem requiring attention from our certified Los Angeles electric motor gate fix-it-team. In some cases your wheel bearings or chain track could be broken or damaged from severe wear and tear. If you have a swing gate, the hinges or arm could be damaged to the point they no longer work properly. You can ensure the problem with your gate is related to a mechanical problem by detaching the chain and trying to manually move the door. If it won’t budge it means there is a problem with the mechanisms requiring our Los Angeles electric motor gate repair team from Everest to come, diagnose the issue, and restore it back to perfect working order. What are Common Problems With Driveway Gates? Because driveway gates are laden with various working parts, electrical systems, and they are exposed to the elements, a number of problems can occur if the gate is not properly maintained or given an annual tune-up. Driveway gate company Los Angeles is a booming industry with more luxury homes being built in the greater Los Angeles area. This means the need for custom driveway gates, their general maintenance, and fixes are on the rise and with that comes an influx of complications. Here are just some of the ones Everest Garage Doors and Gates addresses, some more frequently than others. Try disconnecting the battery cables, and clean their ends along with the battery terminals. In the event your battery’s box is metal, grab Styrofoam insulation and place it on the sides of the box and on the bottom. DO NOT PUT STYROFOAM ON THE TOP OF THE BATTERY! Because lead acid-based batteries release Hydrogen as the battery is charging, the top surface must be allowed to vent the hydrogen. Otherwise you might have an explosion on your hands that would make Michael Bay want to offer you a job! Investigate your solenoid switch and all electrical connections. If you notice corrosion, clean your terminals. Ensure the trickle charger is charging correctly. Are your bearing surfaces and rollers corroded? Pick up some cold-weather grease from an auto parts store, clean the bearing surfaces and rollers, and apply the grease. If you try these steps but your gate is still pitching a tantrum, remove your battery and take it to a mechanic to be tested under load; you may need a new one. In the event you need a new one, get a battery rated as “High Cold Cranking Amps”. If the problem still persists, call Everest Garage Doors and Gates and let our guys diagnose the problem and make the needed corrections. Everest Offers Affordable Hand-Made Custom Gates; Any Materials, Any Design, Your Style. Looking for a local Los Angeles custom gates company to hand-craft a a stunning gate that makes a statement and that also offers security? Everest is the preferred Los angeles custom gates company with on-site artists with certificates in metalworking, welding, woodworking, glassblowing, and a number of other skills required to make one-of-a-kind driveway gates that stand out as a piece of functional art. Our craftsmen use the finest quality products and deliver high-end work according to the customer’s style, design request, and that compliments the aesthetics of the property. We have access to all types of wood, metals, and other materials such as concrete, marble, and other stones and products. Do you have a Spanish style home and desire an old world wood gate with a rich grain, period hardware, and a featured mosaic? Perhaps you have a modern mid-century home and want a concrete date with wood accents that offer clean lines and a retro charm. 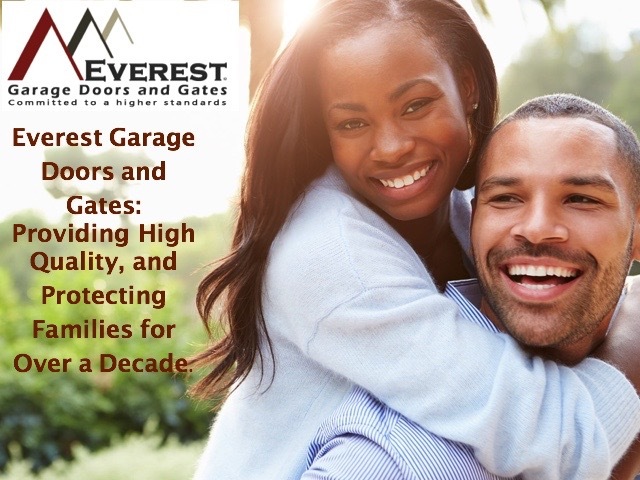 Everest Garage Doors and Gates offers custom fences, swing gates, electric gates, and garden / retaining walls at low competitive cost and to the highest standards of quality integrity. There are many different kinds of gate openers and keyless access entry systems; Everest Garage Doors and Gates installs, services, and repairs them all. Most gate openers rely on keypad entry systems or telephone intercoms. Most businesses and apartment complexes use keypad systems in Los Angeles, and we are trained to service every make and model. Our technicians at Everest have gone through advanced training modules to learn how to repair these devices, and install the latest models according to the manufacturer’s specifications, and before we leave we perform an inspection of your entire gate’s system to make sure it operates with total ease. Do you need a Los Angeles telephone intercom company to come install a unit at your residence to screen visitors or for added security purposes? Perhaps you want one for your commercial property to keep unwanted vendors or trespassers out of your hair. Everest installs, repairs and services the latest telephone intercom systems and we align them to work perfectly with your gate so that only those who are wanted and welcomed have access to your property. Our Everest employees use our very own systems to protect their families, and we feel honored to pass on that added level of security to your. For a specialized class of customer care from a company that thrives off installing and repairing gates and gate opener systems, call Everest today and enjoy our VIP treatment while you get top-drawer repair service, without compromise.